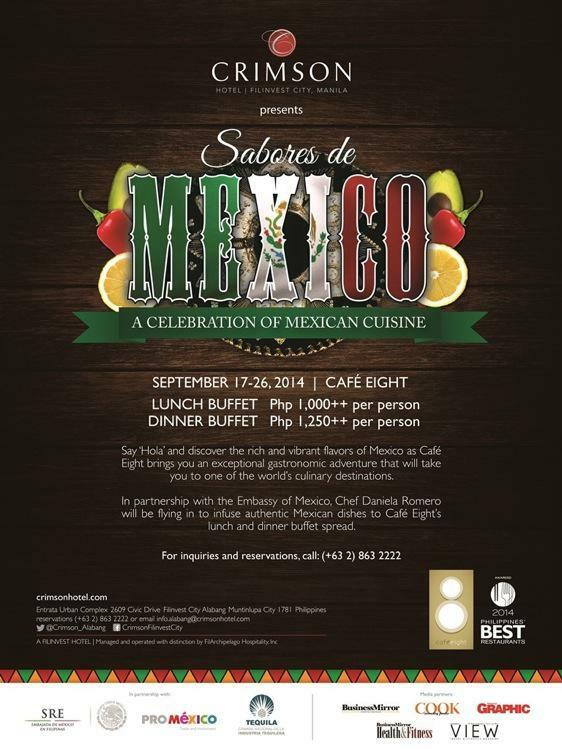 "Sabores de Mexico" at Crimson Hotel Filinvest City - All Chucked Up! Mexicans sure know how to party hard! 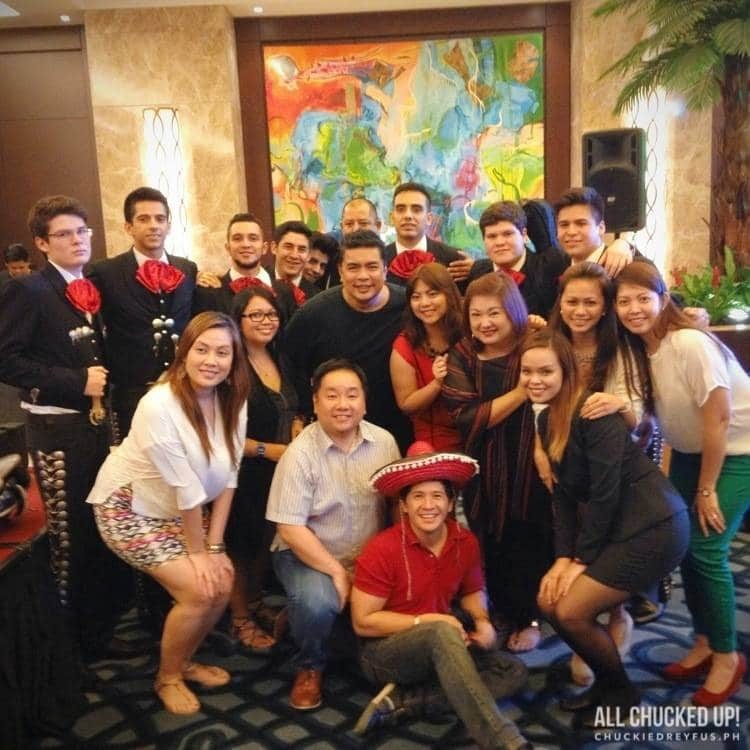 An insanely huge spread of authentic Mexican dishes were served buffet-style to the delight of guests and visitors, which included guests from the Mexican community, government and business sectors, media personalities and society figures. 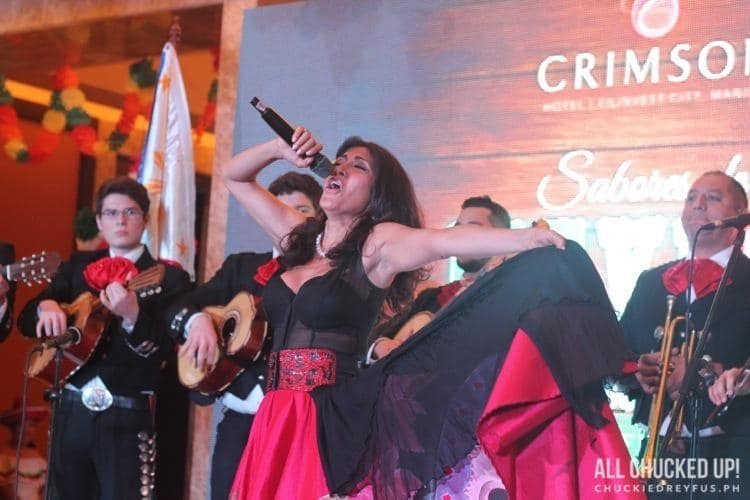 Everyone was in for a treat as attendees were entertained by the young and spirited Marichi band, Grupo Achai, followed by a powerful performance of Grammy award winning singer, Flor Yvone Quezada. It was all sorts of crazy fun! The Sabores de Mexico festival launch opened with a piñata breaking and a tequila toast headed by Crimson Hotel’s new General Manager, Saurabh Kukreja together with guest Mexican Chef Daniela Romero, Mexican Ambassador Julio Camarena and his lovely wife Madame Ana Maria Romandetto. 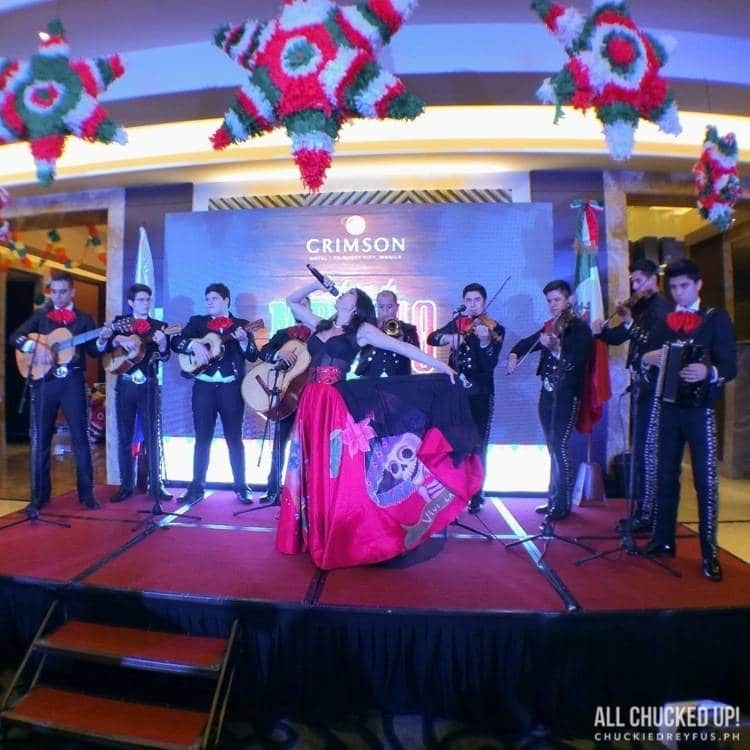 You, too, can experience the amazing culture of Mexico through the wonderful flavors of their dishes during Crimson Hotel’s Sabores de Mexico: A Celebration of Mexican Cuisine. 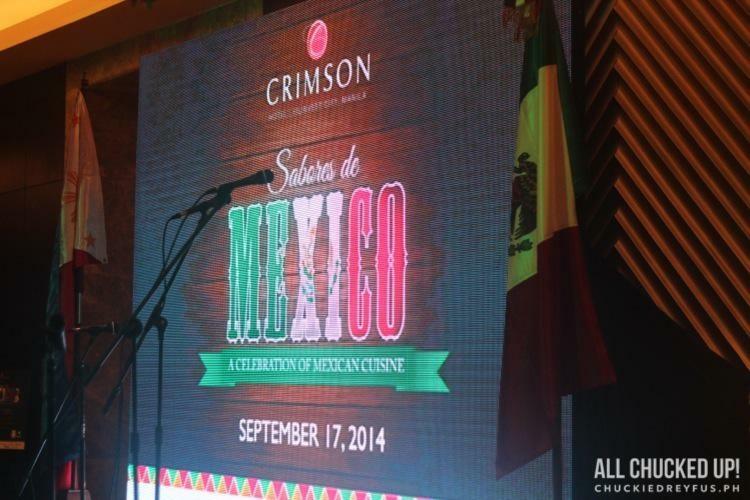 Crimson Hotel’s Sabores de Mexico will most definitely excite everyone’s palate from September 17 to 26, 2014. Coined as “Sabores de Mexico: A Celebration of Mexican Cuisines”, this food affair promises an unparalleled and satisfying experience made possible by two high-caliber chefs combined with the finest Mexican spices, ingredients and meats. Bringing the best of Mexico is guest Mexican Chef Daniela Romero who flew in to the country to infuse native dishes to Café Eight’s lunch and dinner buffet spread. Romero’s refined technique and deeply-rooted passion to their traditional dishes prepares an ensemble of appetizers, entrees and desserts for guests and patrons of Café Eight. Also presenting his cooking style to the table is resident Executive Chef Alessio Loddo, who will add flair to the exceptional menu. Some of the sumptuous dishes diners can expect throughout the festival are: Chicken Flautas (fried corn tortilla stuffed with chicken), Mixiote (pit-barbecued meat made in mutton, chicken or pork), Shrimp Aguachile, Alambre de Res (beef with onions, mushrooms and white cheese), Conchinita Pibil (slow-roasted pork with banana leaf), Rajas con crema (sliced Poblano pepper with cream) and Chamoyadas (frozen mango with pikin chile). 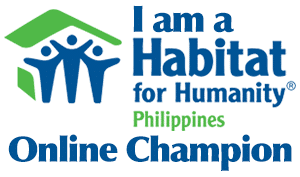 Celebrate and be and have your fill for only Php 1,250++ for dinner and Php 1,000++ for lunch. The Sabores de Mexico is made possible in partnership with the Embassy of Mexico in the Philippines and in cooperation with media partners Retro 105.9 DCG FM, Business Mirror, Health and Fitness, View, Cook and Philippine Graphic. Hungry, yet? Of course, you are! Before the end of the launch festivities that evening, my wife and I, together with some of our wacky KTG foodie buddies posed for a really fun photo with the Mariachi band. Crimson Hotel Filinvest City, Manila is located at Entrata Urban Complex, 2609 Civic Drive, Filinvest City Alabang, Muntinlupa City. 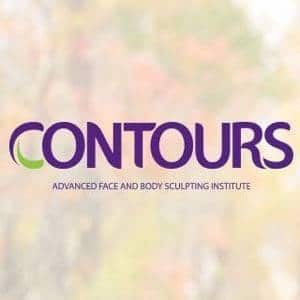 For more information contact 863-2222 loc. 1615, visit Crimson Hotel’s website or email [email protected]. Check out Crimson Hotel’s Facebook Page or follow @Crimson_Alabang for updates. ‹ The Ultimate Taste Test 2014 – The Rockwell Tent › Nice Day Coffee – Make every day a nice day!